Protection and licensing for small systems with the new CodeMeter µEmbedded. Wibu-Systems is ready for business and set to launch CodeMeter µEmbedded, the highly anticipated version of its flagship technology that offers unique protection and licensing features to software developers of microcontrollers and Field Programmable Gate Arrays. The solution is ready to be demonstrated to Embedded World visitors at Wibu-Systems, booth 540 in hall 4, along with the additional components of the CodeMeter family – CodeMeter Runtime, made with personal and industrial computers in mind, and CodeMeter Embedded, meant for mobile, embedded, and PLC systems. With an incredibly lean footprint of 60 Kbytes for the loader code, Wibu-Systems has stripped the functions down to the bare minimum without compromising on security in any way or form. Licenses are associated with the unique identification number of the system and activated during the manufacturing process itself. The encryption and activation keys are stored in a protected memory area for managing the licenses for specific device features, monitoring production volumes, securely transmitting program commands, and providing secure updates to the system. 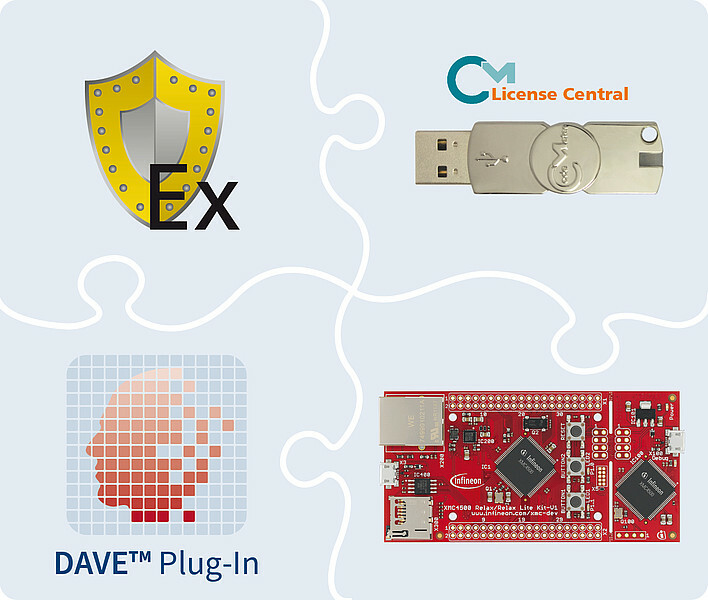 Infineon Technologies has selected CodeMeter µEmbedded as the new plugin for their developing platform DAVETM; Wibu-Systems technology encrypts and signs the program code of the microcontroller family XMC4000 with a simple and effective graphic user interface. Infineon has set up a dedicated corner for security applications at their booth 360 in hall 5, where Embedded World visitors can go to learn more about the new technology.